You know those scents that come along and immediately your life is changed forever? Well, that's how I feel about the Archipelago Botanicals Lemmongrass Diffuser. The moment I smelled this glorious scent, I was hooked. I've long been a fan of Archipelago Botanicals products, both the diffusers and the candles. But during my recent massage at Massage Heights, I came across this diffuser in the lounge and was instantly hooked. I had never smelled this scent from Archipelago before, and I just couldn't believe my good fortune to finally discover it! I immediately needed it in my home. The liquid of this diffuser is presented in beautiful frosted glass with a decorative wooden top. A combination of thyme and lemongrass notes create an aroma that's intoxicating, alluring and somehow homey and comforting all at once. But, somehow, it doesn't seem overpowering or cloying. I especially love walking into my apartment and having the scent wash over me after a long day. Plus, this diffuser lasts for 6-8 months! Now that's a timeframe I can get behind. 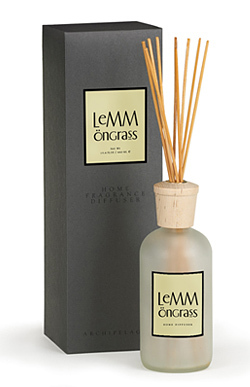 The Archipelago Botanicals Lemmongrass Diffuser retails for $59 at archipelago-usa.com. That lasts a really long time!